Tiger Woods' sterling performances at Carnoustie and Bellerive have relit a dormant flame: Tiger's drive to match Jack Nicklaus' 18 major championship titles. True, Woods has been stuck on 14 major wins for a decade, and that pursuit looks improbable, with today's game owning more depth and firepower than ever. 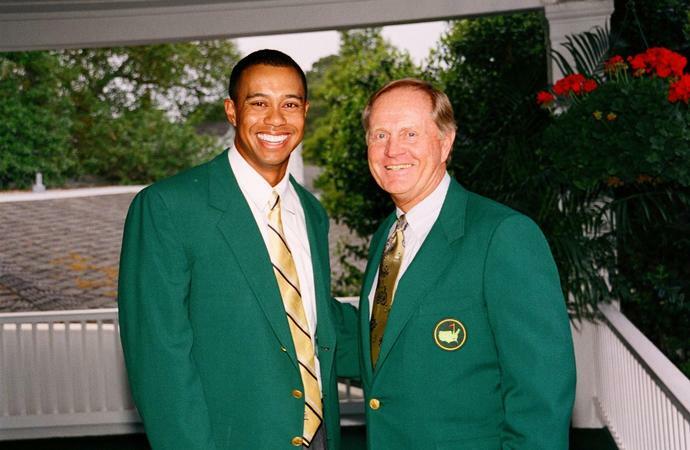 Still, even if you don't think Woods will tie Nicklaus, you at least have to acknowledge it's now a possibility. Given Woods was unsure he'd ever tee it up competitively again 10 months ago, that's a prospect worthy of praise. However, as exciting as Woods was on Sunday in St. Louis, it was also a reminder that he has no chance of matching Nicklaus' other major record. For Tiger's second-place finish at the 2018 PGA Championship was his seventh runner-up at a major of all-time. A figure that's extremely impressive, and makes the case Woods could have 16 or 17 majors already. Except for one small detail: the man Tiger's chasing has 19 runner-ups. "I went through a period from 1967 to 1970 where I was winning six or seven tournaments a year, but I wasn't winning the majors," Nicklaus said in 2006. "It really wasn't a big deal to me until my father passed [in February 1970]. Then I realized I was not really working that hard at what I was doing. I passed a lot of good years there. If I knew that Tiger was coming along, I would have focused a lot earlier in my life. If Bobby Jones had won 20 majors, I would have focused a lot earlier on 20." The deficit between the two legends grows when adding top-three finishes. Woods has 25 such placements, with Nicklaus nearly doubling him up with 46. For the record, Phil Mickelson and Arnold Palmer are tied for second-most major silver medals at 10. Granted, there's only one figure discussed when it comes to this conversation, and it's "18." And if Woods gets to that, many will consider the GOAT argument open-and-shut. But these numbers do show, as great as Woods has been at majors throughout his career, Nicklaus was exponentially better.